I thought I’d give Donburi in Adams Morgan a peek, and the curry katsudon was quite tasty. The place is tiny and packed (hard to move around in) but a spot at the counter opened up and then the food came quickly. 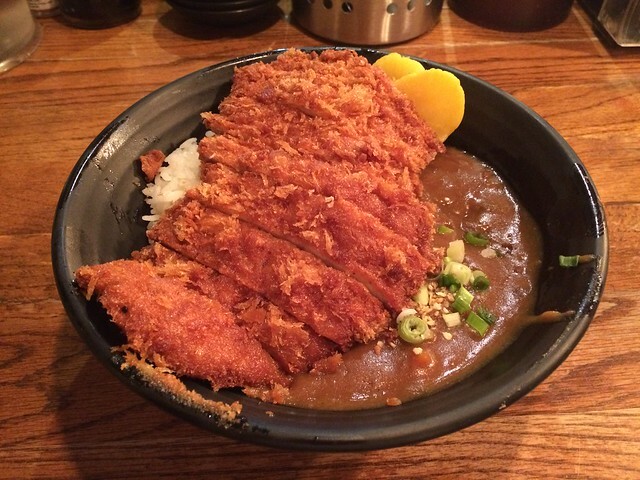 I devoured the katsudon even more quickly. You have little choice but to watch the chefs prepare the meals right in front of you. You grab chopsticks and napkins while they plop the steaming bowls within your reach. I’ll be back to try some of the other bowls they offer.